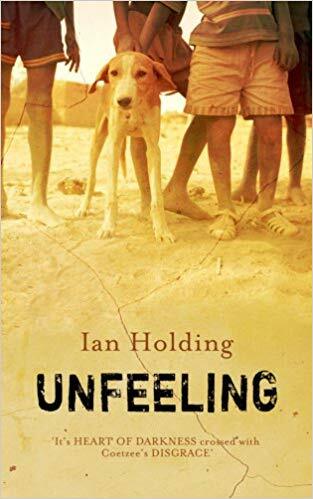 While reading Unfeeling, a debut novel by 27-year-old white Zimbabwean Ian Holding, I imagined Robert Mugabe at his residence, sited over the fence from the Harare Sports Club where New Zealand’s apolitical Black Caps recently thrashed Zimbabwe’s national cricket team. Mugabe isn’t named in Holding’s brave book, but the rogue President and patron of the Zimbabwe Cricket Union is omnipresent in it and, given the ruthless way he is implementing his country’s land redistribution polices, I hope that Holding is keeping his head down. Unfeeling is a convincing and largely sympathetic portrait of Zimbabwe’s white farming families (“true happiness is a farm in Africa”), but Holding’s sketches of rural blacks left me feeling uneasy. They include lazy workers, faithful servants, a drunk, witch doctors and bloodthirsty militiamen led by a distasteful black woman. The one educated man of colour is presented as a misguided character. Sixteen-year-old Davey Baker carries the novel’s load. He is orphaned after the militiamen murder his parents. His dream of inheriting the family farm (named “Edenfields” by his great-grandfather when it was “the size of a small country”) is shattered with brutal efficiency. The crops are burnt and the black woman moves into the master bedroom. one day it’s all going to be pulled from under their feet”.